Megan Lipke is a painter that uses topographic, abstract images of the body and environment to create surreal narratives. She received her MFA from Cornell University. Lipke has taught at The University of Northern Iowa, Cornell University, and Pratt Institute. 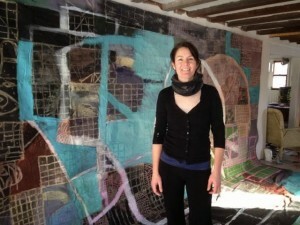 Her work has been recognized in Art in America, The Village Voice, The New York Times, and many online publications.